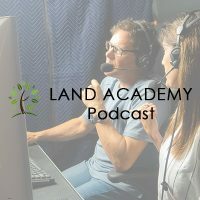 Steven Butala: Welcome the Land Academy show, entertaining land investment talk. I’m Steven Jack Butala. Steven Butala: Today, Jill and I talk about how to buy cheap unwanted land. Jill DeWit: This will be good. I like this. Steven Butala: This could be podcast episode 0001 for us. Jill DeWit: Isn’t that cool? Steven Butala: That’s what I want it to be. Steven Butala: We’re going to intentionally skip along the top and take a 35,000 foot view on what it takes to basically buy … how to source it, locate it without all the crazy details. Oh my God, do I deed it like this? Somebody’s dead in the deal. Forget about all that. Just basic stuff like it’s 1994 when I started. Jill DeWit: That’s it. I want to share just the big picture of why we are here. Jill DeWit: Marcus asks in my google sheets I have a column with acreage for the parcels ranging from one to five acres. Is it possible to multiply the acre size by my offer percent and then have the new number offer price show up in the next column over? This sounds like an Excel question. Jill DeWit: I think. You know what, I would like to back up and just pause and say, “This is how cool our community is.” You can even ask this simple, not property related, not pricing related, just like a formula related question in our online community, and somebody will answer and help you. You want to answer that now without getting in too much detail? Can you do it easy? Steven Butala: I will not get into any detail. Steven Butala: I have been doing Excel. Steven Butala: I have been using Excel, pushing the limits of Excel, since it was created, since it was on a floppy disk. Steven Butala: And before that, there was this thing called Lotus 123 before actual Excel, and I’ll tell you this, and I’ll answer the question on this. I have yet to even come close to exceeding what Excel is capable of. Steven Butala: I bet I know 1-2% of what Excel’s actually capable of. Jill DeWit: Shut up, and you have PhD in that. Jill DeWit: Wow, all right. Steven Butala: Both live events last ones that we did, there were people there who were teaching me things about Excel literally, which I love them. I think it’s great. Steven Butala: You know, once time I was reading this thing about Neil Peart, the drummer of Rush, you know, wildly accepted as maybe one of the best rock drummers that there’s ever been, and he takes a regular lesson even now. They’re retired. He takes a drumming lesson every Friday. Jill DeWit: That’s cool. I didn’t know that. Steven Butala: Whoever he chooses. There’s jazz drummers. He learns all kinds of new stuff. Steven Butala: I don’t care who you are or how good you think you are. Jill DeWit: Hi, my name is Neil Peart. I’m signing up for drumming 101. Is it like at the community college? Steven Butala: No, it’s famous jazz guys. They all sit around. Actually, they filmed a few of them. It’s really interesting. Jill DeWit: That’s pretty cool. Steven Butala: Yeah, these certain techniques and how to get a sound out of a drum. It’s just really cool stuff. Jill DeWit: Here it is hang up the phone. Sweetheart, you’re not going to believe this, but some guy said he’s Neil Peart and he wants to take a drum lesson from me. This is going to be good. I can’t wait to see who shows up. Steven Butala: … click on it. I’m like, “Yeah, I got to see Neil Peart take a drum lesson. Steven Butala: Everyone just bailed on their whole show right now. Jill DeWit: And they’re looking it up. I want to see this too. Awesome. Steven Butala: Today’s topic, how to buy cheap, unwanted land. This is the meat of the show. Jill had a brilliant idea before the show to break it up, break this up into kind of two parts, because every deal has three parts really, but I’m responsible of the first part. She’s responsible of the second. Steven Butala: So, we’ll break it up like that. Jill DeWit: Yeah, so here’s my parts. How to buy cheap, unwanted land. There’s two pieces. One is the offer component, and then the part B is the seller component. So, I’ll let you talk about the offers, because that’s the initial phase, and the next is the sellers as they’re reacting to them. Steven Butala: Acquisitions. Acquisitions and sales. So, I don’t care if you’re [Samsel], Donald Trump, I don’t care who you are in a commercial, the highest, most successful real estate people you can think of, or if you’re brand spanking new and you’re 18 years old. The anatomy of any real estate deal is exactly the same. Steven Butala: Acquisitions, engineering, and sales. Oh, that’s great, Steve. So, yeah, what do I do, go on the MLS and just pick an acquisition? Pick one that I’ll buy? No. Steven Butala: You have to establish … this is a 35,000 foot view, establish some type of deal flow where you’re reviewing potential acquisitions that are cheap or cheaper than you think they’re actually worth, or let’s say you like to renovate houses, so you’re only looking for dumpy houses that are cheap or you like to buy long term care facilities that are half full because you know how to fill them up. That’s what’s called an acquisition criteria. So, you sit down with a blank sheet of paper and you say, “What’s my acquisition criteria?” For people in our group, it goes like this. Here’s a blank sheet of paper. Oh, that’s easy. My acquisition criteria is I would like to buy any piece of unwanted, rural vacant land that is less than half of what it’s worth tomorrow. Jill DeWit: And maybe for some people starting out I can afford to spend up to x.
Jill DeWit: Which you have done. Steven Butala: … which is what I did. I say decade because I did spend a decade doing that. It wasn’t a waste. It fed the way to this. 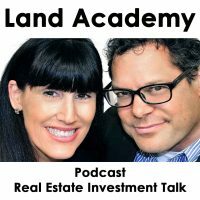 Steven Butala: Or you can learn from Land Academy or anywhere else that you see how to send in by the ton offers to owners with the specific offer in there saying, “Hey, I’d like to buy your property for $1000. I know it’s worth $3000. So do you. Maybe more, maybe less, but today I’m [inaudible] worth $1000 because maybe it’s just you don’t want it anymore.” That’s what we do. Jill DeWit: Exactly. That’s perfect. I think that’s the hardest concept still to get across to people. They still go, “Wait a minute, you mean you’re sitting in your office in California or Scottsdale or wherever we may be, and you’re actually reviewing counties and pushing the button and sending out offers somewhere else in the country? And you’re not even looking at them? Are you sure?” The answer is yes. So that’s the thing. I still find people go, “Wait a minute.” I’m like, “You know there’s maps now, you know? We have the internet now. I can look at some photos that I can even see on the photo when it was taken now.” So, it’s not crazy, but that’s the first hurdle I think people have to get over, and what you just said … I just want to reiterate what you said, Steven, because it’s so darn effective and powerful. None of those other ways are bad, but if you want to really maximize your time and your talent, you’re not sitting in an auction. You’re not chasing down a property. You’re not looking for a deal. You’re not going out and doing it. You’re canvassing the area with good offers, because again, you’ve done them all. We’ve settled on wow, this is the best way, and just let them come to us. Steven Butala: There’s no other way that’s more efficient to get people who are interested in selling their property to call you by sending them an actual offer. Steven Butala: The way computers are and this concept of a mail merge, which I don’t want to get into in this show at all, you can send out … it takes just as long to send out 25 offers as it does 25,000. Steven Butala: Which we do. Steven Butala: We send out 25, and all specific prices that are addressed to the specific person. Jill DeWit: … the lower you are. Steven Butala: Getting into too much detail. Steven Butala: Let’s just say you walk up to a guy’s house and you hand him an offer, because you know that he owns a piece of property in Nevada, and he lives in Michigan, but you know he owns this piece of property in Nevada, and you know that he’s older and chances are he’s not going to use it. Steven Butala: Here, sir, is your offer. I would like to buy it for $1000. It’s you and I both know it’s worth more than that, probably $3000-5000. Jill DeWit: Now is where I come in. Steven Butala: In three days I’m going to come back to the door step with a cashier’s check and a notary standing right next to me. I’m going to sign some stuff. We’re going to hand you this cashier’s check. You’re going to hand me a deed. You no longer have to pay the tax bill every year, which is really why he’s going to sign this thing, because he’s tired of every year the tax bill comes and his wife yells at him. Jill DeWit: Well now you’re perfectly segueing into my part B.
Steven Butala: No, I mean, I think that’s why you handle that end of the business. I mean, I don’t even think about that stuff. Steven Butala: I think about do I really want to buy this property, you know? Is it a good deal? I look at all the economics to make sure that by the time it gets to Jill, you know, I’m saying … if it gets green in our CRM/spreadsheet, she doesn’t even think about it twice. Steven Butala: It’s either red, yellow, or green for her. When it’s green, she just pulls out the stops. So, however you, from a 35,000 foot way, you’re talking about the sell side, right, not the buy side? Jill DeWit: No, I’m only talking about the buy side. I’m only talking about the buy side. That’s the thing that I want to make sure everybody knows. It’s one thing to send in an offer, but if they call you back, if they try to call you and act on your offer and they can’t get you on the phone and you’re a jerk, you’re not going to buy cheap, unwanted land. There’s more to it than that. You have to answer the phone. You have to be a good person. Jill DeWit: They want to … you want to make them want to sell to you. This is my whole point of this is only on the buy side, because they might have had three other offers. I want them to buy mine, and I’m going to follow through and make it really easy, explain to them that I’m going to take care of everything for them, because that’s, for me, a large component to why this works so well. Steven Butala: You know, I do want to sell it for the price that is right on the software. I’m going to sign it and send it back. Jill DeWit: Now you did bid it. That’s all in one [crosstalk]. Steven Butala: I’m going to sign it, take a picture of it with my phone, and email it to you. Steven Butala: Then, it gets to me. Steven Butala: This is what happens. Steven Butala: I look at it in [Perseffect]. I go through some stuff on the internet. I make sure the pricing is right. I don’t know. It takes, I’m not joking, 30-60 seconds. If it’s a commercial piece of property maybe two minutes. I red, yellow, or green the acquisition. Let’s say it’s green. What do you do? Because that’s where I stop. Jill DeWit: Well now we’re already done. Jill DeWit: Or buy it. Jill DeWit: I was doing the how to. I wasn’t going to get into what I’m doing detail wise. Steven Butala: So we’re not going to talk about sales. Jill DeWit: No, I was going to talk about sales, because it shows how to buy, not how to sell. That’s funny. Steven Butala: Oh, it says right up there. Jill DeWit: It does say how to buy. Steven Butala: It says how to buy cheap, unwanted land. Jill DeWit: It doesn’t say how to sell it, just how to buy it. Steven Butala: I wrote that actually. Jill DeWit: Yeah, you did. Get to know your equipment. Jill, why are you not covering that? Because you didn’t tell me to. Jill DeWit: And we are. You know what, I’m willing to bet it’s coming after show night 06, or it might be in the other 905 shows if you want to go [inaudible]. Pretty sure it’s covered, so I thought we’d get to that later. Steven Butala: So we waited 905 shows to explain how to buy cheap, unwanted land, and all in those 905 shows is how to sell it. Steven Butala: But they have to listen to all 905 at about 20 minutes each. Really just pick off the one sentences, or two or three minutes it takes to explain that stuff. Jill DeWit: We’ll cover it again. We’ll cover it. I’m sure. This is just explaining what’s possible. Steven Butala: And tomorrow’s show is called how to sell property on Ebay. Steven Butala: I promise you. My personal promise, listener, that we will cover how to sell this stupid piece of property that you just bought. Jill DeWit: Thank you. Well, you’ve done it again. You’ve wasted another, I don’t know, 15 minutes or so listening to the Land Academy show. Join us next time where we talk about what Steven said, how to sell land on Ebay. Steven Butala: How to sell land on Ebay. And we answer your questions posted in online community, landinvestors.com. It’s free. Steven Butala: [crosstalk] alone today, though. Jill DeWit: … the buying part. Jill DeWit: You don’t know this, Steven, but I take you literally. Steven Butala: It’s actually kind of refreshing. Jill DeWit: Thank you. Hey, wherever you are listening or watching, please take me literally, and please rate us there. We are Steve and Jill.